Vedic horoscope of Amir Khan, kundli of Bollywood celebrity and film star Amir Khan, Astrology analysis of Amir khan, Planets responsible for his name, fame and extra ordinary personality, Astrologer's analysis of a famous actor Amir. A great producer, a creative director, famous film maker and a Bollywood star is here in India and is famous for his different concepts. Yes! I am taking about a very famous star of Indian Film Industry Amir Khan. He has made the famous show "Satyamev Jayate", a very awaking show and has proved its power by getting too much support from audience all over the world. He has also done fabulous role in movie "Dhoom 3". Words are less to say about such an extraordinary person. Now again he has made sensation and captured the mind of people world wide by launching his poster of new film PK. Now the question is that which planets are supporting him to become a famous star, which planets are responsible for his grand success in different field, which stars are making him creative and courageous too. Here I am going to explain the power of astrology by giving the analysis of Amir Khan's Horoscope. Hope It will help my blog readers to understand the power of planets in life. 1. Rahu and Ketu are exalted and sitting in his 4th house and working place and thus showing the amazing impact of getting tremendous success suddenly. These 2 planets are giving him the blessings of some unseen energies too. 2. Venus is positive and sitting in his lagna an dis the master of his happiness place as well as destiny place too and thus it is clearly making yoga to get all the luxuries in life and to live a glamorous life. This Venus is giving him a smart look, attractive personality and female supports. 3. Mars is also positive and sitting in his partnership place and is the master of his strength place as well as working place. This type of persons always perform some adventurous work and also capable to give some innovative things to the society. 4. Saturn is also positive and sitting in his lagna and so making him a very hard worker, passionate worker. Saturn makes a person loyal with related to the work, It also gives a good heart and a decisive person. Saturn is the karak of land and thus gives the person property. Amir khan's hard work seen in his every show and movies. Extra ordinary efforts are there in his work due to the supports from Saturn. 5. If we talk about the problematic part of his horoscope then Mercury and Sun are generating malefic impacts in his kundli and therefore making yoga to get in trouble due ot over saying something. It is also possible that due to Sun some defame may increase struggle in his life but the chances are not very strong. Over all the kundli is very good and strong and showing the grand success in his life. If he will continue to control his words then no doubts he will never see the back door n life. His effort to bring revolution in this world will definitely do something. His new film again make a difference and put some revolutionary concept but it may be possible that it may face some contradictions. 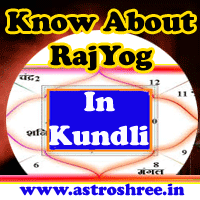 Contact for minute analysis of your kundli/birtch chart/ horoscope reading now on line. Go here to know the Consultation Procedure of Astrologer Astroshree.